We only had 24 hours in BIMStorm LAX, now we have one month. Following the success of LAX, the BIMStorm is moving east. 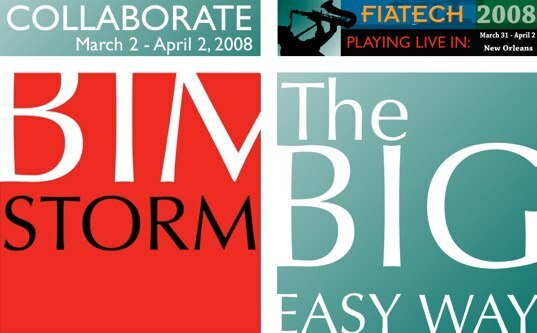 Join Kimon Onuma and the virtual BIMStorm team. Dianne Davis of AEC Infosystems, Inc.
Kimon Onuma, FAIA of ONUMA, Inc.
FIATECH Conference in New Orleans. 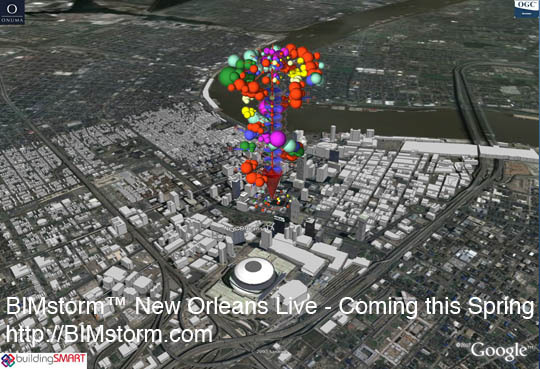 Join us in building New Orleans leading up to April 1 and Live during the conference. See what happened in the BIMStorm LAX. As with previous BIMStorms, this one will have a focus around April 1, 2008 but will also continue to live on after that.